Russia’s annexation of Crimea and the withdrawal of NATO forces from Afghanistan has seen military planners are reassess their approach to future land warfare. Instead of fighting insurgents, western armies could soon come up against tanks or well-organised foot soldiers. It’s for this reason – dubbed ‘the Putin effect’ by some – that several countries are looking to boost the lethality of their armoured vehicles to properly reflect these shifting strategic priorities. The number of tanks and armoured vehicles among NATO members has drastically declined from their Cold War levels and some countries, like the Netherlands, have abandoned tanks altogether. Russia, on the other hand, still has a sizeable active fleet of tanks and retains thousands more in storage. Recent reports of Russian armoured vehicles building up on the Ukrainian border and possibly moving into eastern Ukraine shows Russia’s willingness to deploy its tanks in combat. In August, British Army general Sir Richard Shirreff said Western Europe would struggle to defend itself against any Russian aggression. The former NATO deputy supreme commander singled out Europe’s land capabilities as being particular deficient. "The reality is that NATO…would find it very difficult to put into the field, at sea or into the air the means required – particularly on land I would assess – to counter any form of Russian adventurism," he warned. Russia’s actions have forced military officials to reassess the balance of conventional forces between East and West, something which hasn’t been necessary since the Cold War. The most dramatic reduction in European military power has been in conventional forces, says Daniel Gouré of the Virginia-based Lexington Institute. "The West may yet come to regret its decision to disband most of what had been the most capable conventional land force the world had ever seen." With many European countries still suffering economic woes, defence spending remains one of the lesser priorities for governments across the continent. It’s a constant concern that this lack of funding is ultimately degrading the capabilities of several European militaries and, thus, NATO as a whole. 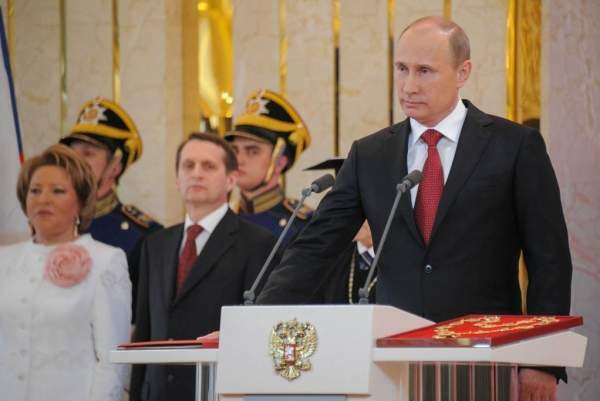 Put simply, the West can’t afford more tanks to counter the threat from a resurgent Russia. Former Soviet countries, such as Latvia and Lithuania, are investing in new armoured vehicles, but not enough to stop a full invasion force. Defence manufacturers may have an answer to this dilemma with new weaponry that could increase the lethality of existing and new vehicles, while also keeping costs down. This year several tests have been carried out to integrate anti-tank missiles, generally found on Apache attack helicopters or dismounted soldier systems, directly onto armoured vehicles. The weapons will make armoured vehicles much more potent in conventional warfare and ensure soldiers rely less on firepower from the air, which is not assured in a future conflict. Latvia, Lithuania and Poland are modernising their land forces, but can they afford it and is it enough? Earlier this year, Lockheed Martin tested a new, self-funded vehicle concept called the Long Range Surveillance and Attack Vehicle (LRSAV). It uses a proprietary turret system which can fire the Hellfire II air-to-surface missile, commonly found on the Apache helicopter or Predator drone, and the new mini-Hellfire system called DAGR. Lockheed confirmed that live fire demonstrations were carried out in May at Eglin Air Force Base in Florida for potential customers. The demo used a Patria 8×8 vehicle but officials stressed the system can be fitted to any armoured vehicle. Adding an anti-tank missile capability to vehicles has several advantages when compared to normal weaponry like a 30mm main gun. It can engage targets at much greater ranges than a cannon – the Hellfire II can hit a target up to 8km away – which means you could hit a tank and never be seen. Lockheed has also combined its LRSAV platform with a new ‘TS15’ mast-mounted sensor which enables more effective surveillance, reconnaissance and target engagement from a vehicle. An anti-tank land platform could even cooperate with aerial assets such as the Apache attack helicopter, with the aircraft remotely designating the target for the vehicle. "It’s like any laser guided weapon," said Morri Leland, vice president of Lockheed Martin Missiles and Fire Control Systems. "You can do a self designation from a sensor on your platform or a laser designation from another platform…in the case of what we did, the Apache gunship." 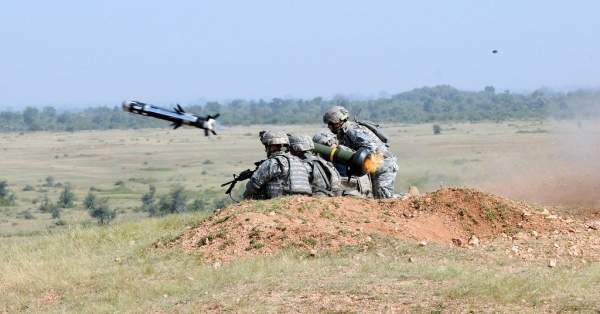 Lockheed has also integrated the man-portable Javelin missile, widely used by dismounted troops in Iraq and Afghanistan, into a turret system for the first time. 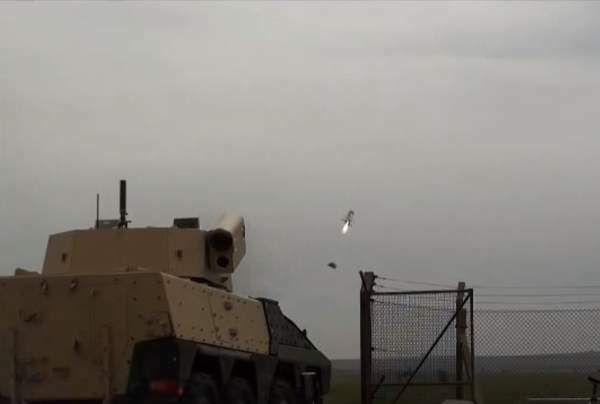 In May, the company successfully demonstrated the vehicle-mounted Javelin at the Cranfield Ordnance Test & Evaluation Centre (COTEC) near Wiltshire, England. And unlike the Hellfire/DAGR integration, the Javelin turret also incorporates a 30mm cannon for short-range engagements. Lockheed officials say the concept is getting "a lot of interest" from international and domestic customers. "There are specific identified customers who are at these venues, and the demonstrations were for them because they requested them," said Leland. "Adding an anti-tank missile capability to vehicles has several advantages when compared to normal weaponry." One benefit of a vehicle-mounted Javelin is that troops are protected by armour when engaging targets, unlike with a traditional shoulder-fired Javelin. French manufacturer Nexter is also rumoured to be considering integrating the Javelin missile into its next-generation T40 turret which uses the Anglo-French CT40 cannon. The CT40 will be fitted to the British Army’s Warrior armoured vehicle under the Warrior Capability Sustainment Programme (WCSP). 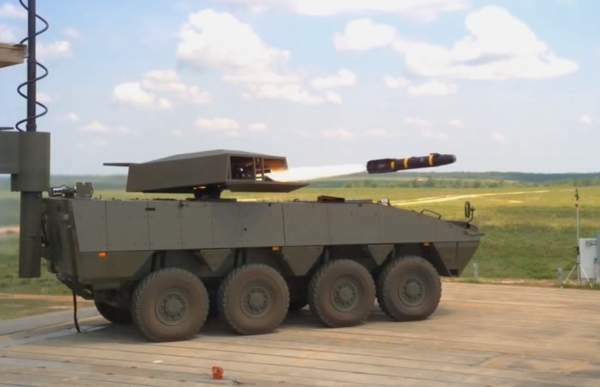 One selling point for these turret solutions is that they use unmodified missiles, so militaries can use their existing stock of Hellfires and Javelins and ultimately save money. Lockheed is currently involved in two of the British Army’s major vehicle programmes – the Scout Specialist Vehicle and WCSP – which has fuelled rumours that the UK could be a potential customer for Javelin turrets. Lockheed Martin has not revealed who it is currently in talks with. While vehicle-mounted anti-tank weapons are not a new concept, their use has declined over the last few years. That’s mainly because there was a limited operational need for them in Iraq and Afghanistan, where there was no armoured vehicle threat. As a result, funding was channeled into other platforms such as MRAPs, which offered superior protection over lethality. The British Army, for example, phased out its Cold War-era FV102 Striker anti-tank vehicles in 2005 and never replaced them. As Russian tanks roll across the border of Ukraine and the threat to Eastern Europe is higher than ever, that decision looks a little short-sighted. Other manufacturers are also picking up on this trend for affordable anti-tank capabilities. 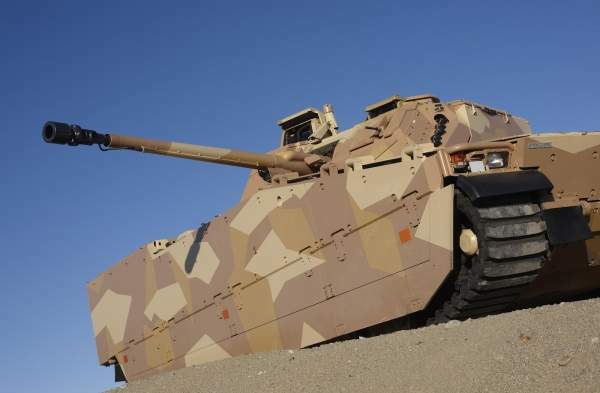 BAE Systems Hägglunds confirmed to army-technology that it is currently running an advanced ‘level 2 study’ into integrating anti-tank weapons onto its CV90 vehicle, a first for the company. A physical integration is not currently planned, but according to a BAE Systems spokesperson, it would be a "relatively easy task" after the study is complete. A total of $1.7 trillion was spent on defence in 2013, the year in which China surpassed Russia as the world’s second biggest defence spender. 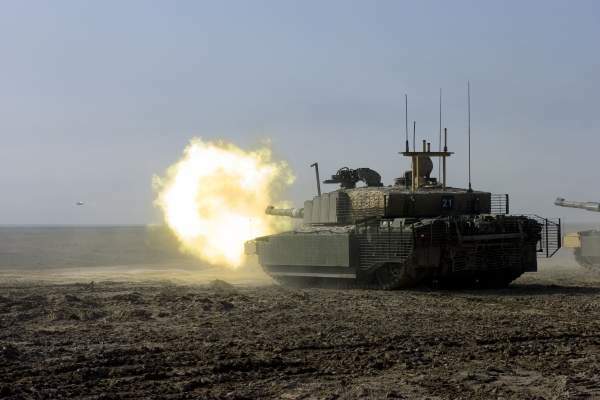 "Generally speaking we can see a need for quicker and longer shooting ranges from combat vehicles, that need is growing," the spokesperson added. BAE Systems said there were several customers interested in vehicle-based missiles but it would not elaborate further on the military needs of its customers and why they were interested in such a platform. Like Lockheed, the company was also tight-lipped on who its potential customers are and which anti-tank system it would use. A June report by IHS Jane’s speculated it would be Rafael’s Spike, but that has been neither confirmed nor denied. Russia’s invasion of Crimea and aggression in Ukraine has focused minds once more on conventional military capabilities in the West. Military planners, influenced by two decades of fighting irregular wars, have had to reassess their strategic outlooks and consider that the next war might involve a sophisticated enemy with heavy armour. With budgets still tight, integrating legacy missiles onto vehicles may just be the solution for cash-strapped armies which desperately need to increase their attack capabilities.